What's the newest national chain to offer gluten-free fare? It's not Wendy's (at least, not yet). 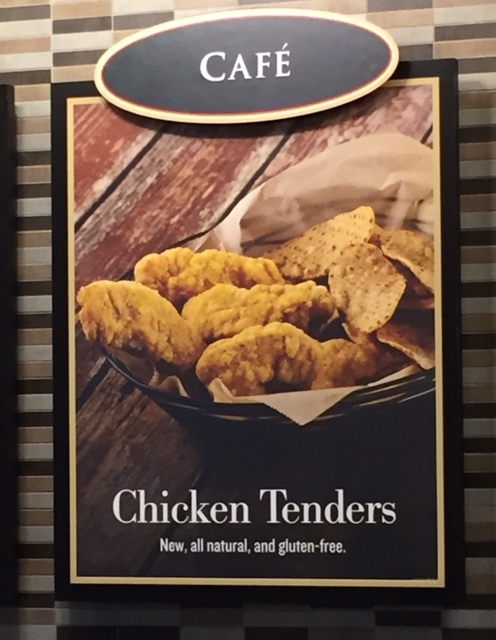 The in-store cafés at Barnes & Noble bookstores have expanded their menus, which now include two gluten-free options: baked chicken tenders and rice crispy treats. 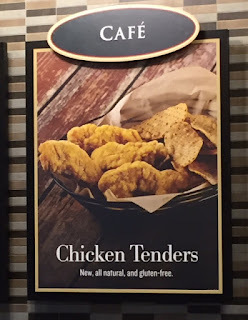 The baked Applegate gluten-free chicken tenders ($6.95) are coated with milled rice and corn and are served with sweet potato chips and a dipping sauce of either barbeque or honey mustard. Request that orders be prepared with new oven liners and clean utensils. 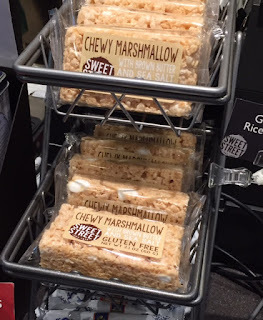 Reading, Pennsylvania's own Sweet Street Desserts supplies the certified-gluten-free Chewy Marshmallow Bars ($2.50), made with brown rice crispies, brown butter and sea salt. Take note that the new Chocolate Oatmeal Chunker cookies ($2.50), the recipe for which comes from Pastry Chef Johnny Iuzzini's Sugar Rush cookbook, are prepared with oat flour. 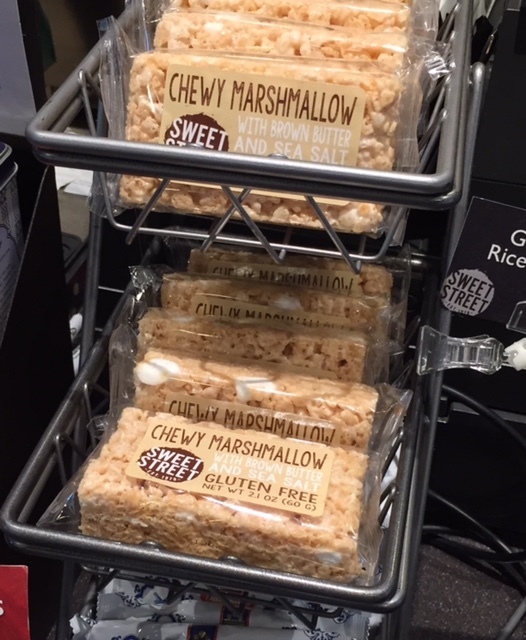 As of this writing, it's unclear whether gluten-free oats are used; the in-store shelf tag indicates that the cookies are "wheat free," though a banner on the B&N website states they are gluten free.